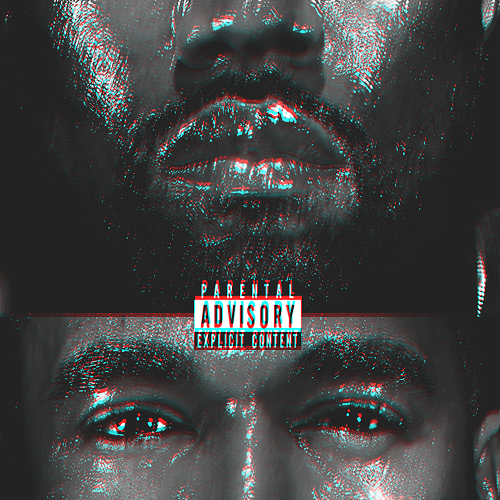 Yeezus is the sixth studio album by American hip hop recording artist and producer Kanye West. It was released on June 18, 2013, by Roc-A-Fella Records and Def Jam Recordings. The album began production in the living room of a loft space at a Paris hotel. During the process, West gathered various artists and close collaborators for production on the album, including Mike Dean, Daft Punk, 88-Keys, No ID and Symbolyc One. Yeezus also features vocal guest appearances from Assassin and King L, as well as previous collaborators Justin Vernon, Frank Ocean, Chief Keef, Kid Cudi and Charlie Wilson. West enlisted the help of producer Rick Rubin only 15 days before its due date to strip down the record's sound in favor of a more minimalist approach. West was inspired by minimalism from design, including architecture, with a particular interest in the works of Le Corbusier, and visited the Louvre several times while in Paris. Musically, Yeezus is dark and sonically experimental, combining elements of Chicago drill, dancehall, acid house, and industrial music. West continues his use of unconventional samples including and most notably, the vocal refrain from Nina Simone's cover of "Strange Fruit".Yeezus has no album artwork, and the physical CD edition of the album was released in a clear jewel box with only a strip of red tape and sample credits. Initial promotion of Yeezus included worldwide video projections of the album's music and live television performances. West released two singles from the album, the song "Black Skinhead" in July 2013 and "Bound 2" the following month. Marco Principi. Powered by Blogger.